Saludos todos! 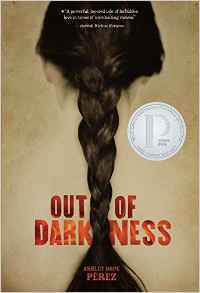 This week we are continuing our themes of nature and environmental awareness with another great read. The book for this week is The Sky Painter: Louis Fuertes, Bird Artist, written by Margarita Engle and illustrated by Aliona Bereghici. This book follows the life of renowned bird painter, Louis Agassiz Fuertes (1874–1927), including his bicultural upbringing, his worldly travels, and his absolute love for birds. 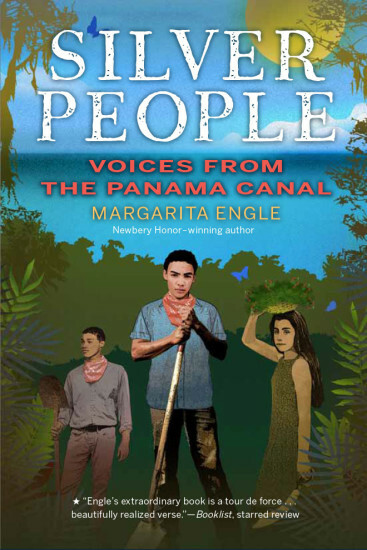 As some of you may remember from my previous post on Margarita Engle, she, too, is an avid bird-watcher, botanist and advocate for nature conservation and environmentalism. Written in Engle’s characteristic poetic style, this book celebrates the beauty of nature, and the pursuit of one’s dreams. The book is divided up into a series of poems that read like prose, illustrating Engle’s classic, stylistic fusion. Every two pages there is a new title and with an artful use of enjambment and r hyme, Engle narrates the life and work of the wonderful bird artist. Engle, like with many of her other books, expertly combines art and imagination with nonfictional information that will undoubtedly educate young readers in more ways than one. According to a review by Good Reads, “Louis Agassiz Fuertes (1874–1927) is now known as the father of modern bird art. He traveled with many scientific expeditions all over the world. His best-known works—paintings for habitat exhibits at the American Museum of Natural History in New York—are still beloved by visitors today. His art helped to encourage wildlife conservation, inspiring people to celebrate and protect the world of wings.” Indeed, Engle’s book joins in Fuertes’ mission of encouraging wildlife conservation and reveling in the beauty of our world’s diverse flora and fauna. Here at Vamos a Leer, we, too, would like to join in the choir and celebrate the natural habitats of the world, while inspiring readers and educators to participate in and encourage environmental conservationism and wildlife protection. According to Brown, this story follows the old Yiddish folk song, “Hob Ikh Mir a Mantl” (“I Had a Little Coat”), which is “about an old overcoat that is continually repurposed as smaller and smaller items.” Indeed, the story of Maya’s blanket traces the many phases of her beloved manta, from blanket, to skirt, to scarf, and so on. The story begins with a lovely, two-page spread of little Maya sleeping with her blanket while her abuelita stitches purple butterflies onto it. The butterflies seem slightly elevated from the rest of the blanket, as though they’re about to fly off the blanket and out the window. This visual effect nicely complements the narrative: “Her manta was magical too—it protected her from bad dreams.” Many of Diaz’s illustrations, outlined in thick, black contour lines, give the impression of something handmade – an effect that reinforces the values of heritage, memory and identity conveyed through the book’s text. This opening scene also introduces the sentimental value of the blanket, which Brown confirms in her author’s note: “I think of my mother tucking me in each night, telling me stories of her childhood in Peru as I snuggled under my yellow blanket decorated with orange butterflies. I also think of my nana, who, with infinite patience and love, taught me how to sew and embroider.” Brown’s author’s note is provided in both English and Spanish, and on the same page she includes a glossary of Spanish words, such as manta (blanket), bufanda (scarf) and cinta (ribbon), that are found interspersed throughout the English text. 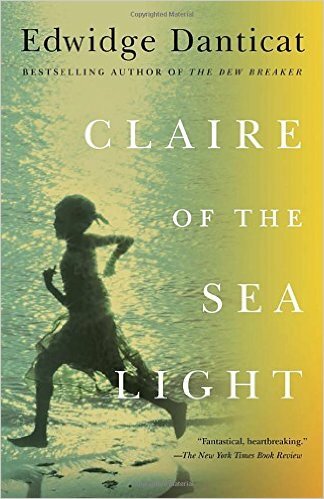 Here’s our review of this month’s featured novel, Claire of the Sealight. If you’re an Albuquerque local join us on April 18th to discuss the book. Look forward to seeing you! From the best-selling author of Brother, I’m Dying and The Dew Breaker: a stunning new work of fiction that brings us deep into the intertwined lives of a small seaside town where a little girl, the daughter of a fisherman, has gone missing. Saludos todos! This week we are concluding the month of March, Women’s History Month, with a sweet, heart-warming tale about a girl, her grandma, and the company of a pet parrot. This week’s book, Mango, Abuela and Me (ages 4-7), written by Meg Medina and illustrated by Angela Dominguez, narrates the beautiful relationship between two generations of women, and the way in which their love and familial bond ultimately surmounts their linguistic and cultural barriers. When the protagonist, Mia’s “far-away Abuela,” comes to live with them in the United States, Mia has to find a way to establish a relationship with her grandmother. Despite Mia’s Spanish not being good enough “to tell her the things an Abuela should know,” and Abuela’s English being “too pequito,” the two find a way to surpass these difficulties and conquer intercultural barriers through love, loyalty, and creativity. While exploring the intercultural challenges that many bicultural children face, this story also celebrates the day-to-day influence of positive, loving women in the lives of young children. Alth ough many of our previous books for this month focused on extolling and celebrating larger-than-life women, this book takes us to a more familiar place: the sweet and simple experiences of an intergenerational family. The beginning of the story introduces Mia’s Abuela who comes to stay with the family, “leaving behind her sunny house that rested between two snaking rivers.” Although her home country is never named, readers can assume by her knowledge of Spanish that she is from Latin America. Additionally, the description of water and a warm climate may lead readers to assume that she is specifically from the Caribbean. Nonetheless, the lack of specificity enables a variety of readers from a variety of backgrounds to identify with Mia and her “far-away” Abuela. Although, of course, the immigrant experience is different for everyone, this book captures many of the familiar struggles of adapting to a new language and new home. Even I, for example, having a grandmother who lives in France, can identify with this story and the perplexing contradictions of familial closeness and cultural dissonance.